Ductwork contractors, providing air movement systems for both comfort and extraction, can face complex challenges. Ensign’s software solutions help to win jobs at the right price with maximum efficiency and in a cost effective way. 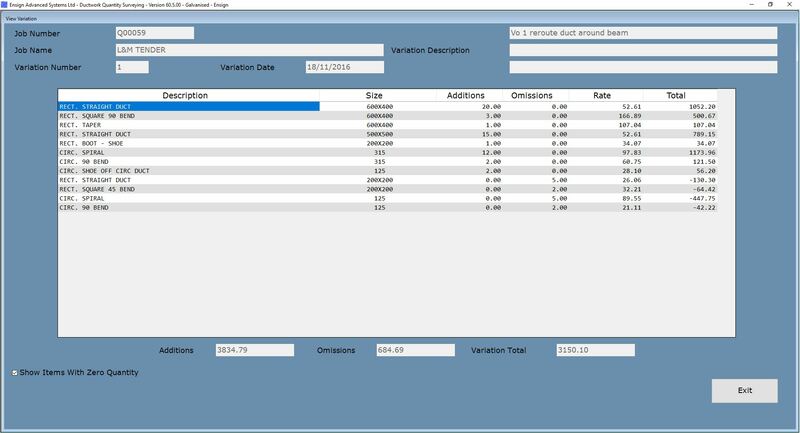 The Ensign software for Ductwork contractors provides unrivaled time saving, consistency and accuracy, maintaining your competitive edge and closely monitoring costs. The portable software solutions integrate together seamlessly and focus on five vital areas: takeoffs, estimating, quantity surveying, contract costing and drawing. Ductwork contractors need to work quickly and accurately. Manual take-offs for ductwork can be slow and problematic, whereas On-Screen Take-Off provides the quickest and most accurate way to take off spiral and fittings, rectangular duct and fittings, dampers, grilles, free issue items and more from your electronic PDF drawings. 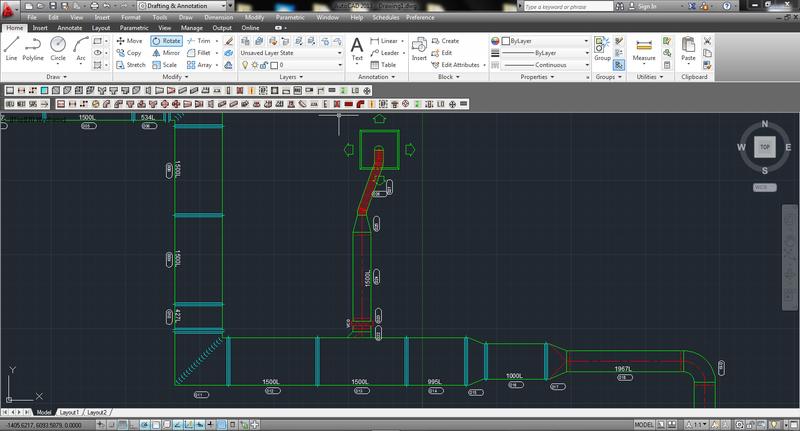 Ductwork On-Screen Take-Off is highly effective in measuring all your parts straight on to the drawing. Work is recorded in real time, providing digital data you can export into Ensign’s Estimating Software or Excel, all of which shaves hours off the length of time this would normally take. Duckwork can be varied and challenging, not least in providing accurate quotes for complex jobs. Ensign’s estimating software is designed for accuracy, adaptability and flexibility; pricing jobs quickly but thoroughly. Prices and labour norms are included in the database, one of the features that makes the software easy to use. If you’re a manufacturer, Ductwork Estimating can calculate the shop materials and labour too. The software produces real-time reports with market prices on materials and factors in labour costs. This means bills can be produced quickly without the need for time-consuming and sometimes inaccurate manual checks and calculations. 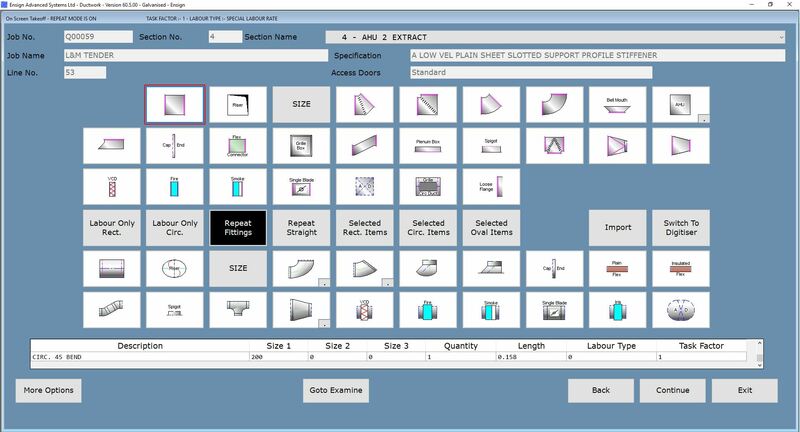 Seamlessly integrating with both estimating and on screen takeoff, the quantity surveying software provides Ductwork contractors with the information they need to ensure they are paid in full, on time. From the simplest to the most sophisticated projects, our software captures full breakdowns of variations and ensures timely and accurate applications for payment are raised. If you want to increase profits and lower risks, use our software to simplify calculations and measurements. The Ensign Contract Costing system tracks all potential costs, to create competitive data you can use to maximise job profitability. This also helps you to cherry-pick the tenders most likely to give the best returns. Clear reports are generated on one page, for at a glance management to make sure your projects are coming in on time and on budget. Managing labour, materials and sub-contract costs is simple and efficient with QuickCost. Ensign’s Ductwork Drawing system helps the ductwork contractor draw the ductwork to as-install and manufacturing specifications, simply and accurately. 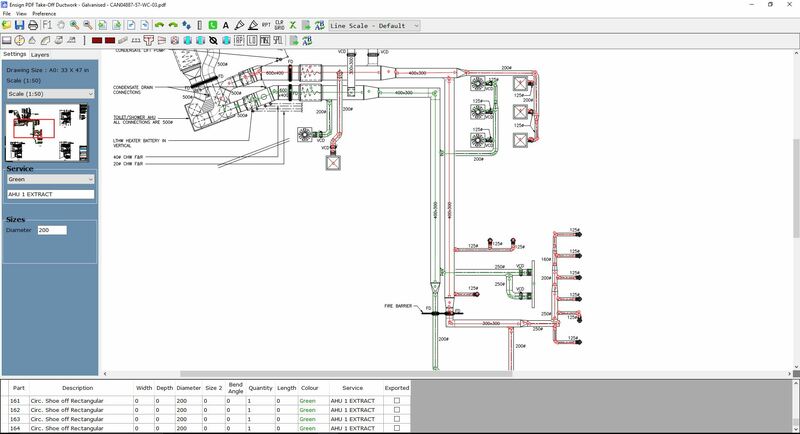 Using Ensign’s system as part of a CAD package allows the user to draw the runs of ductwork easily whilst having the confidence to know it will fit on site. The drawings produced are in the industry standard format of .dwg files as we are taking CAD and making it work specifically for ductwork. As a result, the user does not need to be a CAD expert to use the system, simply to understand a few key and basic concepts is enough to get the user drawing ductwork almost immediately. When your client can see your professional ductwork drawings, it can only enhance the image of your company.